Erdoğan Alayumat and Nuri Akman, reporters for the government-closed, pro-Kurdish Dicle News Agency (DIHA), face 45 years in jail over espionage cases. Detained in Turkey’s eastern province of Gaziantep on July 13, 2017, Alayumat and Akman spent 13 days in custody before being referred to the court for arrest. Akman was released pending trial while Alayumat was put in pretrial detention. 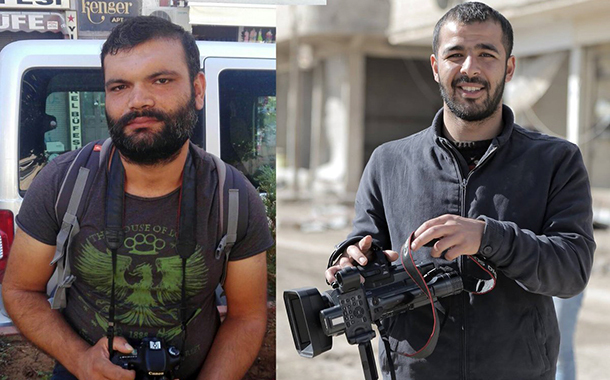 A Hatay court has recently accepted an indictment prepared by the prosecutor in charge who seeks 45 years for each of the journalists. At least 308 journalists have been detained and put in pretrial detention since July 15, 2016. Even though some were later released pending trial, nearly 180 are still held behind bars.